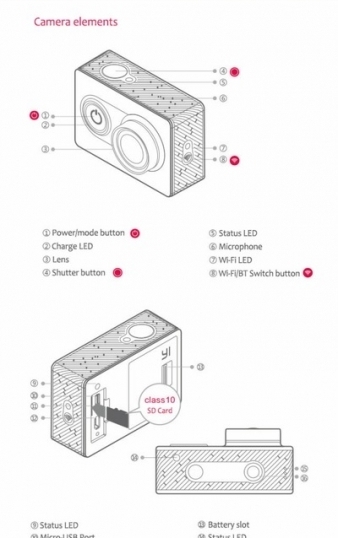 The specifications of this camera are very impressive. It uses an Ambarella A7LS Processor and Sony Exmor R IMX206 CMOS sensor which allows it to record 1080p at 60fps (note there is a custom script to increase this to 1296p. It also comes with WiFi. At launch, this camera is selling for under $90, but price has dropped to $70 now. In comparison, the SJ5000 Plus is using the same processor and a Panasonic CMOS sensor but has a selling price of $170 (but includes accessories). 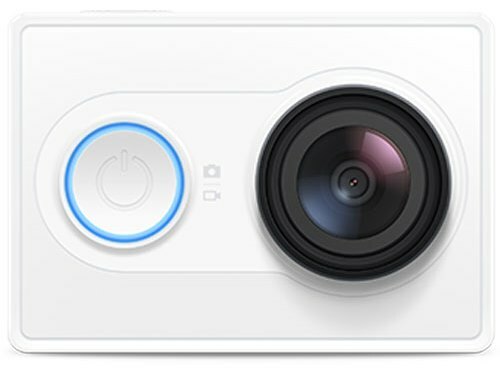 The Yi Action Camera is likely the most affordable 1080p 60fps camera available today. The camera has very good picture quality during the day and good quality at night. While not as good as the GoPro HERO4 cameras, many owners indicate video quality of the Yi is better than the GoPro HERO3 cameras. The bit rate for firmware 1.0 is 12Mbps when recording at 1080p 30fps and 23 Mbps when recording at 1080p 60fps. This camera does not come with a screen or GPS but it does come with a G-sensor for “emergency file backup” in case of an excessive G-force. Even though the camera is light weight, build quality is quite good. 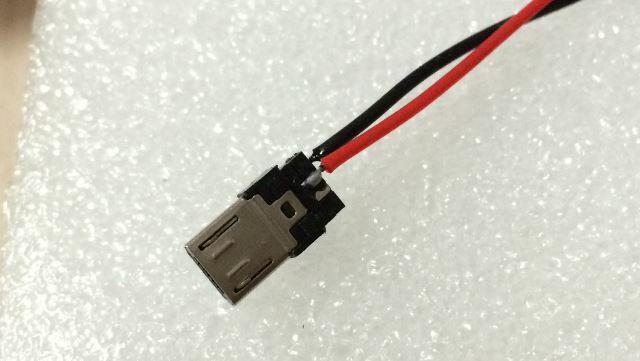 Based on the form factor, it is obvious that Yi is targeting the GoPro market directly. However the dimensions are slightly different at 60.4 x 42 x 21.2 mm which means the GoPro housing / protective case does not fit. Other GoPro mounts and accessories should work with the camera. 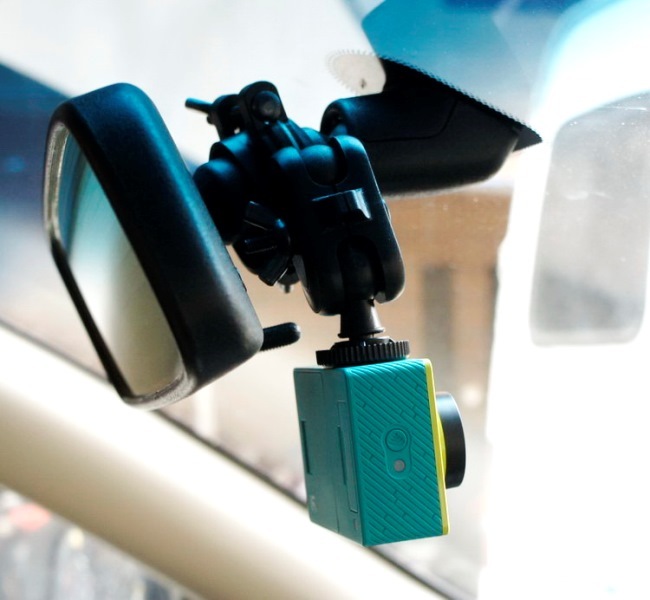 Unfortunately, like the GoPro cameras, the Yi Action Camera is not the most discreet when used as a dash cam. Currently the camera comes in white or green. 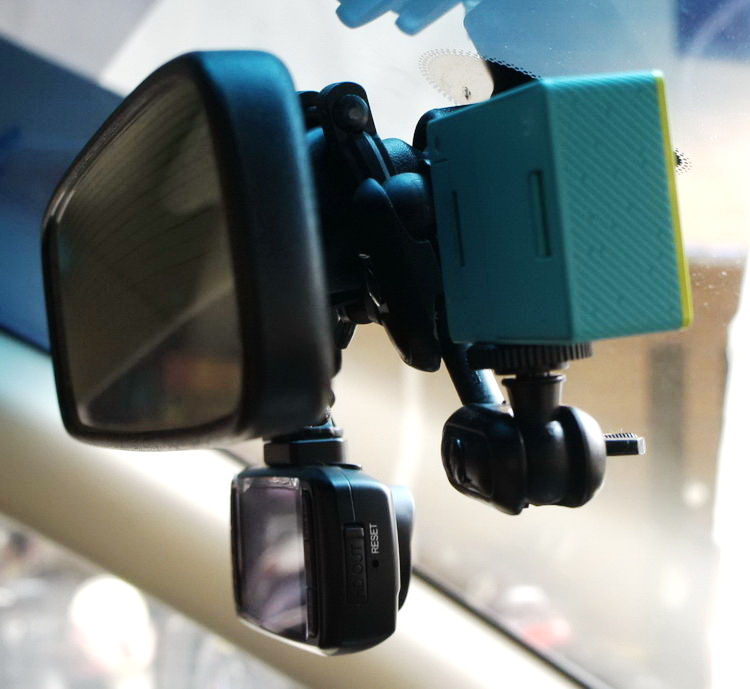 Ideally, 3 things need to change for the Yi to be useful as a dash cam. 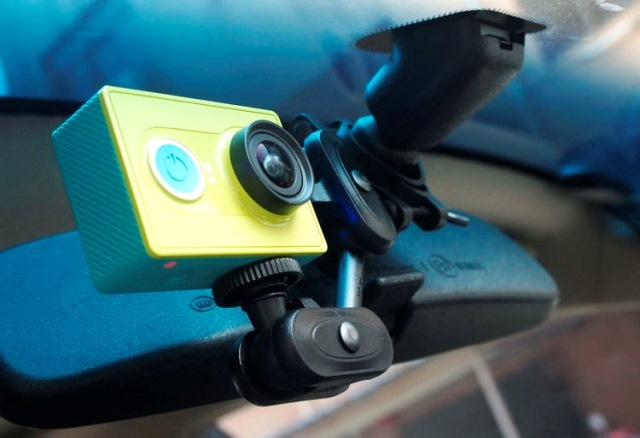 Note that Yi has released a dedicated dash cam in 2016. Read about it here. Numerous owners have indicated after updating the firmware via the app, the camera produces a continuing beeping noise as per the video below. Camera is unresponsive / bricked. Download the full v1.0 firmware file and the autoexec script file and unzip them. Since this is an Ambarella based camera, recovering the camera using DirectUSB and an ELF firmware file should be possible, however no ELF files are available yet. You can read more about this problem here. 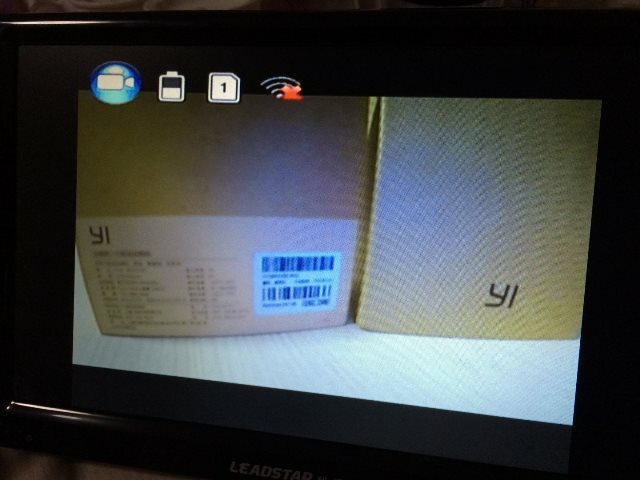 A number of owners have complained that their Yi action cameras had blurry / out of focus videos. This appears to be a quality control issue from the factory (incorrect focus set at the factory). Some owners have corrected this problem by adjusting the focus manually. DO THIS AT YOUR OWN RISK. so there is no “metal sides” and you can twist it by your fingers in some kind of rubbered (silicone for example) gloves. first you need to “break” thermal adhesive on 12 o’clock and then you might focus as you wish. The following picture shows the red line (before refocusing) and the green line (after refocusing). 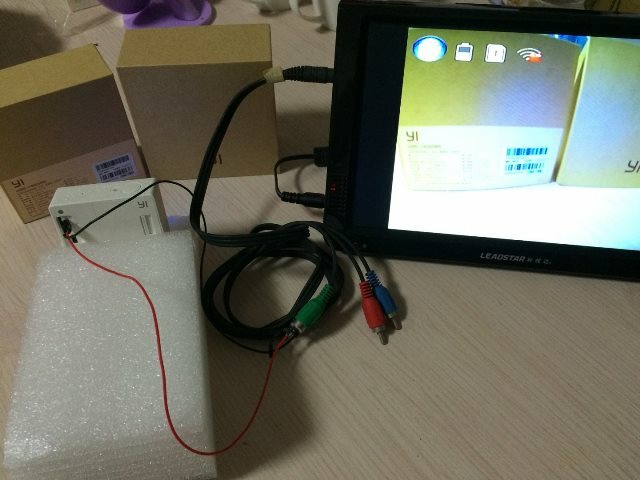 As of firmware 1.07, AV Output is available via the MicroUSB which allows users to connect the Yi to an external LCD/TV monitor to live view. . Thanks to our member luckylz for providing the details. The video below from cpurage describes how to do this as well. WARNING! MAKING CHANGES TO YOUR CAMERA ARE PERFORMED AT YOUR OWN RISK. WE ARE NOT RESPONSIBLE FOR ANY DAMAGE TO YOUR CAMERA AS A RESULT OF THESE INSTRUCTIONS. 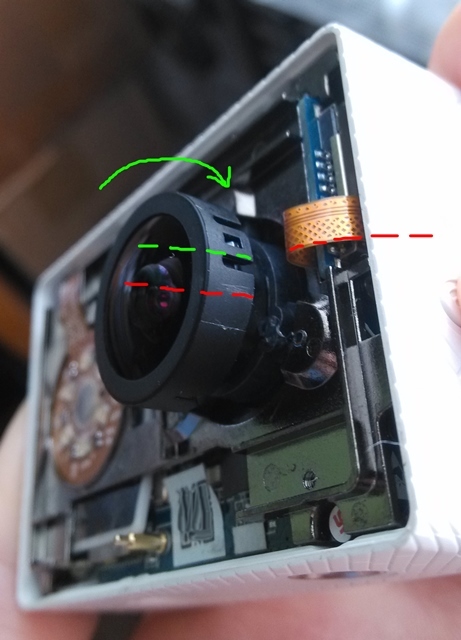 Our member funnel, has figured out a way to hack the resolution of the Yi action camera using scripts. These scripts allow you to change resolution and bit rate by copying a simple file to your SD card. This should work for all hardware revisions. 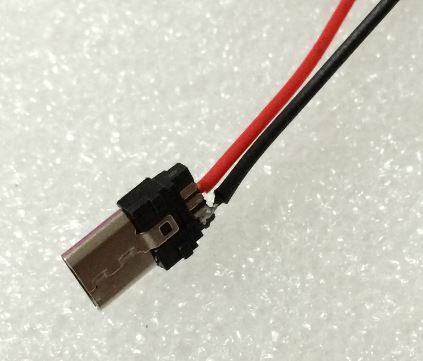 The following video from our member Alcurtis93 shows the procedure as well and there is a lot of information in this thread in our forum. The Yi action camera has a standard tripod mount positioned on the bottom of the camera. 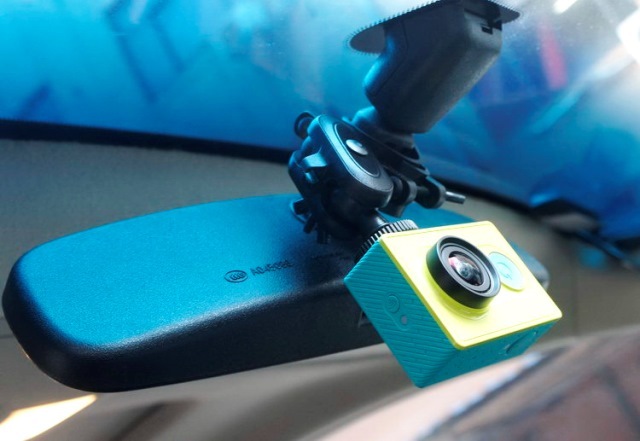 You will need to purchase a mount if you would like to use this as a dash cam. Unfortunately, if you mount the camera upside down, the video can’t be flipped so the date and time stamp will be upside down. This will likely be fixed in future firmware updates. Since the Yi Action Camera has no screen, the smart phone app is the key mechanism to manage settings and videos. Currently an English Android app exists for the Yi Action Camera and can be downloaded here. A Chinese iOS app was released in April 2015. Launch the LinkinEyes app on your iPhone / iPad and it should now connect to your camera and let you view live video and change settings. From a specification perspective, this camera provides a great value at $70. Video quality is on par with higher priced cameras and is already a popular seller. As a dash cam, you will need to wait for auto start / stop capability and flip video option. The Yi Action Camera is not the most discreet either. However, if you are looking for a more versatile camera that can be used as an action camera, the Yi Action Camerais a great bang for your buck. Reliability is unknown at this point, but we will update this review as more details emerge. Overall a great alternative to a GoPro camera and is a reasonable choice if you are looking for an action camera. See what other owners of this camera have to say on our Yi Technology Forum. You will now hear a constant beeping for around a minute – after this the red light will flash and the camera will turn off. One of our members, reverend, has created a custom firmware based on v1.0 and on v1.07. This firmware increases the bitrate from 12Mbps to 18Mbps. any ELF firmwares available and there is no known easy way to recover using something like DirectUSB. and can read more about the custom firmware here. 1. Add image flip function. 2. Add the urgent document automatically backup mechanism. 1. Adjust the timestamp mechanism, when the image is flipped open and shut case of automatic distortion correction turned timestamp. 2. Fix the U disk information wrong question. 3. Fix charging power indicator status issue can not be changed. 1. Fixed unable to connect Wi-Fi hotspots successful issue. 2. Adjust the Wi-Fi mechanisms to ensure the bandwidth and connection stability. 1. Fixed APP device simultaneously operating instability. 2. Fixed APP operation document management instability. Fixed low power mode under continuous execution time taking pictures failures. Fixed camera, video recording operation process into the document management, leading to false triggering stop taking pictures, video problem. Fixed low power mode under first unsuccessful execution mode switching problem. Fixed photo EXIF aperture, focal length and other parameters message. Fixed system boot into the U disk mode can still operate WIFI / mode switching / shutter button. MD5 data correcting abnormal APP problems uploading files, perfect APP firmware upgrades. Start the buzzer error correction system upgrade status issues. Correction Wi-Fi turned on and off operation for automatic shutdown and sleep mode affected. The amendment does not operate when the buzzer mute function to find the device. Correction mode switching system abnormalities cause problems. Wi-Fi firmware update to solve the Wi-Fi hotspot slow connection problems. Update the Wi-Fi drivers, optimized connection speeds and download speeds. Adjust the automatic shutdown option, the default is not shut down. Adjust the picture compression ratio and improve picture quality. Add TV function, with APP realize TV on and off. Unfortunately the user manual is only available in Chinese at the moment. Documentation appears to be sparse. Final Word A popular camera at a good price. Needs some tweaks to be used as a dash cam.